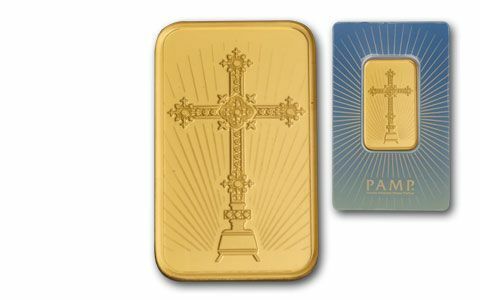 When it comes to gold and silver ingots, nothing says security like PAMP® Suisse. Headquartered in Switzerland, PAMP has a global presence through its network of group offices located in key precious metal markets. PAMP ingots are accepted as 'Good Delivery' by the Swiss National Bank, The London Bullion Market Association and the leading futures markets of COMEX/NYMEX and countless other trading markets worldwide. 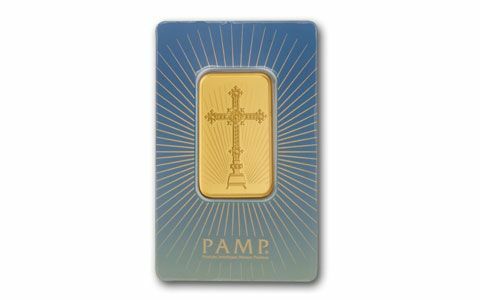 PAMP is an acronym for Produits Artistiques Métaux Précieux, and if your French is a bit rusty, they specialize in providing artists with highly refined precious metals. 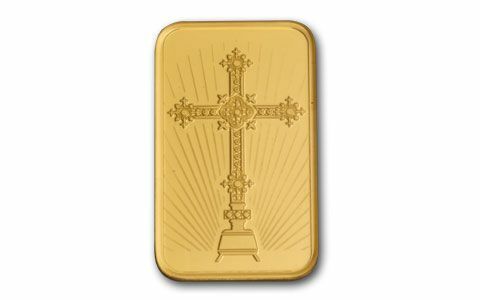 And, their reputation is displayed all its splendor with these One-Ounce Art Gold Ingots featuring a Christian Cross. All Christians believe Jesus Christ gave his life on the cross for our sins. The cross is the universal symbol of that sacrifice used by all Christians. 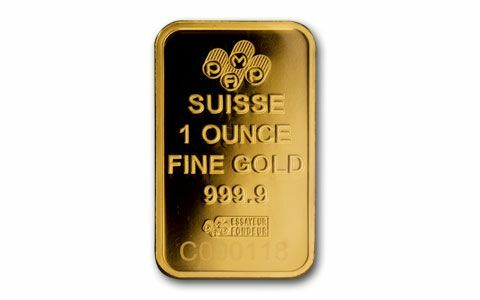 The obverse of each ingot displays the weight, purity, metal, and the PAMP Suisse logo. Each ingot is securely sealed in a PAMP Suisse assay card which lists the matching serial number, fineness and weight of your ingot. The gold is 99.99%, some of the purest gold available anywhere. These ingots a great and artistic way to own secure precious gold. Order yours today!